I have been thinking about the word “light” for a while now. Due to my nature, I have been wandering all over the place with ideas but finally got a beat on what I would say by noticing my column name – New Directions. I realized that I needed some new directions for myself. So I thought I would share a bit of my current story and what I intend to do in the way of lightening up. Lately, due to a number of my own personal life challenges coupled with the fact that I am an empath who tends to take on everyone’s energy around me, I have been finding that my attitude and my physical being have been feeling really, really heavy. Heavy with responsibility, heavy with pain, heavy with worry and heavy with my stories and the stories of so many of my clients who are experiencing incredibly hard and difficult shifts in their own life’s journey. So, what to do about releasing “heavy” and becoming a “light” being – light physically, mentally, spiritually and emotionally. As a wellness coach I have a number of options available – the trick is to notice and be in the now, staying grounded, long before light becomes heavy. I am just as guilty as my clients of failing to stop for a moment and breathe when things get to be too much. Then, when “stuff” continues to pile on before you know it the burden gets so heavy we can’t not notice it! (I realize this is a double negative and definitely not a proper expression grammatically but I wanted to get your attention 🙂 So the very first thing that comes to mind is the basis of Eden Energy Medicine – make new habits. Do whatever you are going to do repeatedly till it becomes a part of you and keep doing it – another area where I apparently need to practice what I preach. Great exercises from the Eden Energy Medicine tool bag to release the various emotional issues associated with the seasons can be quite helpful. They are aptly named: Winter/Fear – Blowing Out the Candle; Spring/Anger – Expelling the Venom; Summer/Panic – Taking Down the Flame; Indian Summer/Codependent Sympathy – Cradling the Baby and finally Autumn/Grief – Human Touching the Divine. Instructions can be found on line for all of these exercises – just Google, Bing, Firefox or get in touch with me. When you feel a bit clearer, one of the things I always go back to, when I get to this place, is the “smiling down” routine. So what’s that about? Well for a minute really smile or even imagine a smile. Then for the next several minutes close your eyes and take the time to send that smile throughout your body – starting with your head and then moving all the way down through your body and limbs to your toes. Finally taking a page from Access Consciousness, another great tool is a great question – How does it get any better than this? Questions are really miracles. Firstly when you think you have the answers, doors close to finding other options. With questions, all kinds of possibilities emerge as whatever you focus on, you get more of – so with a question all kinds of wonderful options magically appear. It sounds rather simplistic but I can personally vouch for the efficacy of the method – you’ll be astonished as you practice how soon responses will arrive. Wow, we’re at the end of this rambling and by golly I do feel lighter – may the Light be with you also, and may you broach the most exquisite questions as you journey through your life. Linda was raised in the Midwest, graduated from Saint Louis University and hired into a corporate position with Reynolds Aluminum. She met, married and traveled with her husband for a number of years before moving back to his home place – The Shoals in Alabama. There Linda was introduced to life coaching and took to it like “duck to water”. Her empathetic nature coupled with a desire to help people help themselves; led her to and through a number of certifications, in different modalities. 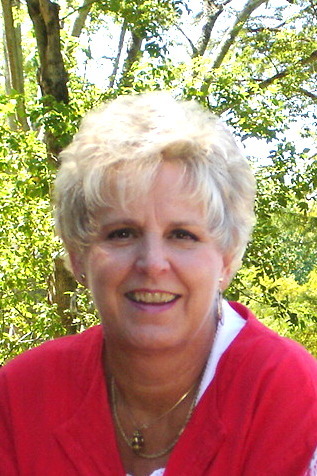 Linda currently practices as a Wellness Coach plying her trade in Florence, Alabama.